James Compton has been a member of the Omaha Symphony since 1987 and is also a member of the Omaha Symphony Chamber Orchestra. During his time with the Orchestra, he has been a featured soloist on many occasions. A native of Long Beach, California, James knew at an early age that he wanted to play the bassoon. After receiving a scholarship to the University of Southern California, he completed his bachelor of music degree and also went on to study at The Juilliard School in New York. His notable instructors have included Norman Herzberg, David Breidenthal, and Loren Glickman. 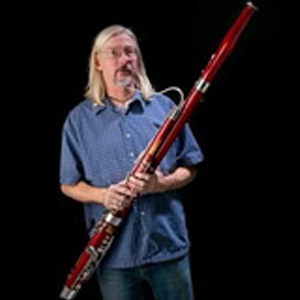 Prior to joining the Omaha Symphony, James was the principal bassoon of the Oklahoma Symphony. He has also participated in many summer music festivals throughout the country, including the Cabrillo Music Festival in Santa Cruz, California; the Orquesta de Mineria in Mexico City; the Tanglewood Festival in Massachusetts; the Music Academy of the West in Santa Barbara, California; and the New College Music Festival in Sarasota, Florida. James lives with his two sons, Whit and Luke, who are both aspiring musicians.